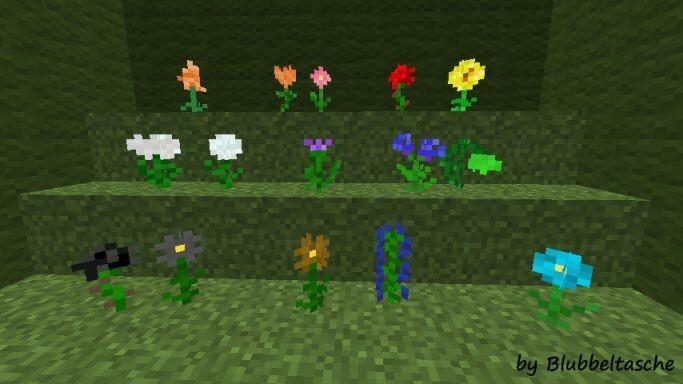 The MOD adds 15 new Flowers.blackrose, pansy_gray, pansy_brown, bluebell, iris, gardenia, blowball, thistle, enzian, orchid, foxgloves, lily, peony, redrose, chrysantheme. 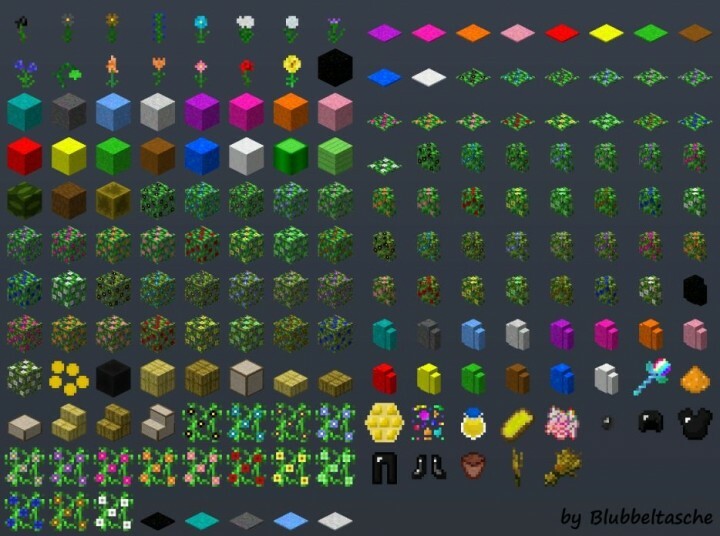 25 BigFlower "All Flower of this Mod and the Vanilla-Flowers"
can i get this for my public modpack? 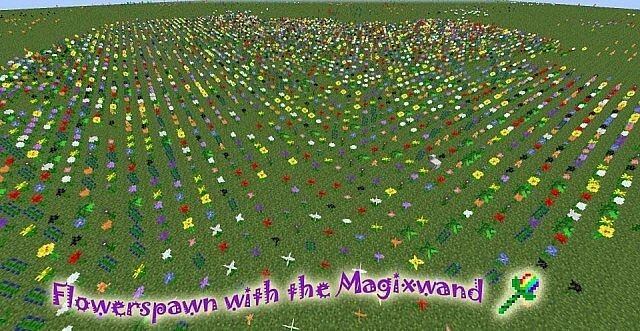 Does this mod Good for 1.7.2 ? Great Mod! Heres a diamond! 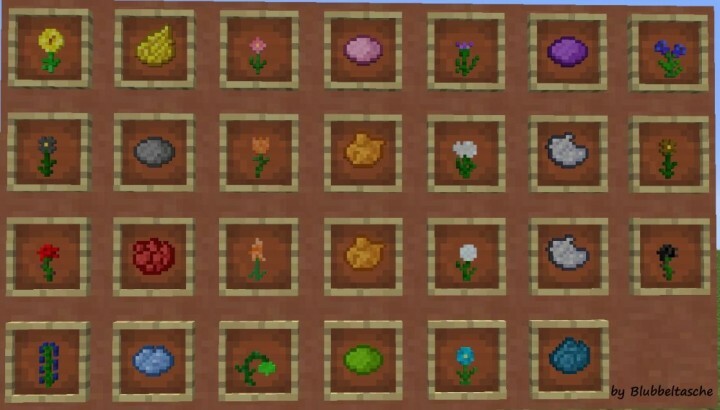 I think some of the flowers could use re-naming, and black roses should be able to be used as dye, or maybe you could make a new 'black dye' item that you have to craft from ink sacs or black roses. Other than that, swell mod! Very good mod! Enjoy the diamond and favorite! Are the big flowers made of wool? No, they have their own Blocks. I love this mod! one of the best I've seen on the site. Install guide, where are ya? I guess you mean earlier versions. Klck the yellow Button "Old Download"
Nah, I need the install insctructions, 'cause I paste it on Mods and nothing happens. Tried to use MagicLauncher. Nothing happens, no Mods found. Install forge without MacigLauncher.does not work or bad with Forge. Can you imagine a floral dimension full of big flowers and pink grass? Now that's what I call AirWick! 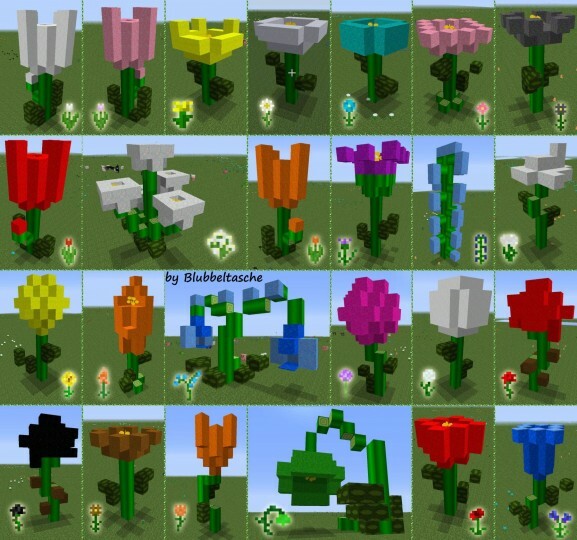 am i the only one who loves flowers in MC? Are you sure that the Mod not with Forge runs.Because some mod for Modloader, go even with forge. Cool mod! 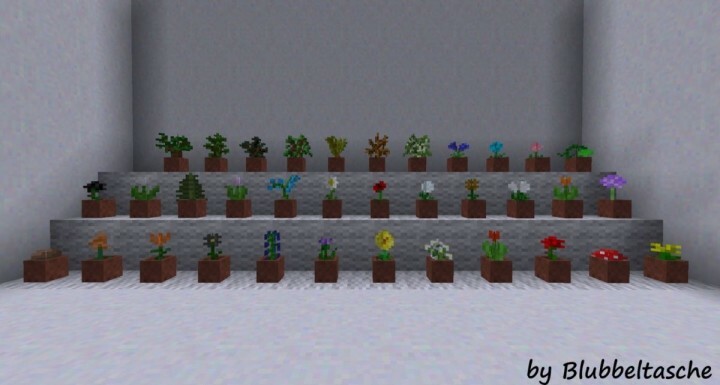 Minecraft could use more plant-life! 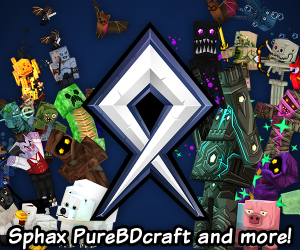 Can you make it not require Minecraft Forge? This MOD requires a forge. is in the title. Had that in the description as well.